This revised and broadened second edition provides readers with an insight into this fascinating world and future technology in quantum optics. Alongside classical and quantum–mechanical models, the authors focus on important and current experimental techniques in quantum optics to provide an understanding of light, photons and laserbeams. In a comprehensible and lucid style, the book conveys the theoretical background indispensable for an understanding of actual experiments using photons. 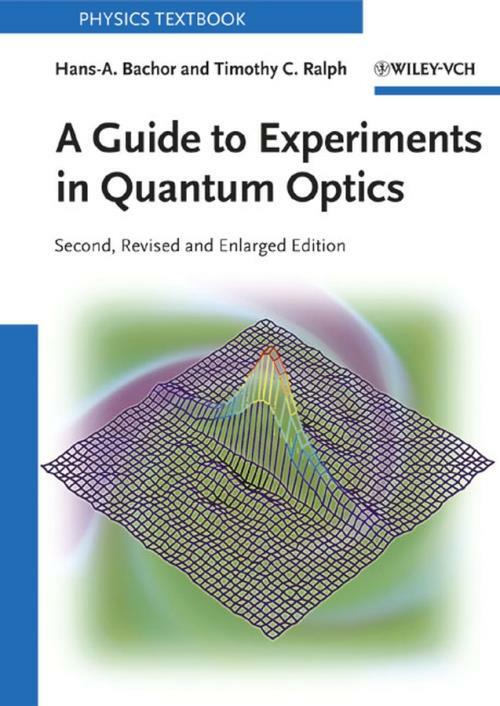 It covers basic modern optical components and procedures in detail, leading to experiments such as the generation of squeezed and entangled laserbeams, the test and applications of the quantum properties of single photons, and the use of light for quantum information experiments. Hans–A. Bachor received his degrees in physics from the Universität Hannover, Germany. Since 1981 he has worked and taught at the Australian National University, Canberra, Australia where he is now Professor and Director of the Australian Centre of Excellence in Quantum–Atom Optics. The focus of his work are experiments with nonclassical light.